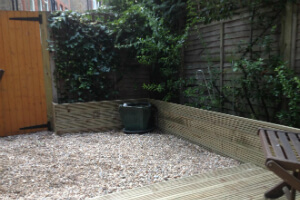 Southfields SW18 Tree Surgery and Gardeners | Quality Property Care Ltd.
Transform your garden into a jewel in your overall backyard area! Receive expert residential and commercial gardening offer right away! Quality Property Care Ltd. promises you great final result and an exceptional customer assurance. Wait no more and call us on 020 3746 4287 phone number and get additional details on how to numerous methods you can improve your patio without even leaving your chair! The expert lawn mowing and lawn care services provided by the Quality Property Care Ltd.company are pretty suitable for property owners, tenants, homeowners, property administrators and others in Southfields SW18 who demand help in doing their yards look better. The gardening team can offer professional lawn mowing and also lawn care, such as: fertilising watering, edging, reseeding patches, standard lawn repair services and full autumn lawn care and springtime lawn care. The lawn repair services can also incorporate lawn scarification, lawn aeration and lawn feeding, as well as weed removing with the support of a professional weed killer. As professional gardening provider our professionals can certainly sustain a well groomed garden, with all gear provided by our crew. All you have to do is give us a call and we’ll assign you a surveyor, he’ll meet you so he can inspect your property as well as consult with you about your suggestions and vision of exactly how your garden should appear. Based on that, we can give you an estimate of how long will it take us and also how many hours you’ll have to book. 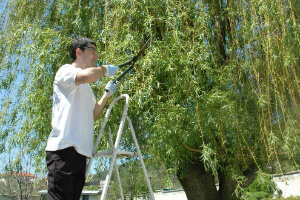 In the service we incorporate tree surgery, de-liming, watering, hedge trimming, weeding, ivy removal, lawn maintenance and care, planting of roses, hedges,trees, flowers, pruning, pest control, orchard maintenance, garden waste removal - up to 180lb of back garden waste absolutely free of charge! In order to get an ideal lawn you will have to take care of not only the soil, but also the grass itself. Frequent maintenance and trimming enables the grass to spread, create significantly better root systems helping them to last longer, nourish better and simply just be better looking. To get a lush lawn we use several methods that make it easy for us to inject the land with nutrients that nourish the grass. Ordinary trimmings are also in order, not just to keep it short, but to also have the grass spread more, as plants frequently do when not allowed to expand in height. We have autumn lawn care, springtime lawn care, summer lawn care, lawn aerations, lawn top dressing, lawn scarification, and lawn feeding. All those services can be used if our gardeners see that it is needed. Choose Quality Property Care Ltd. Gardeners and Get Special Price! In order to book a gardening service, or a combination of gardening services, just call 020 3746 4287 or send out an online reservation request. The customer care service is quite helpful, and more importantly is available, so you will get a written affirmation almost instantly via SMS and email. Zero downpayment is necessary for booking. You could go over the actual tasks and the time they will take with the gardeners which will appear at the area with all essential instruments and materials. Booking is available for Saturdays and Sundays and bank holidays too, with no supplemental fee, so book now, and be sure to have the prettiest garden in your community.